The Piz Scalottas zone lies on the western side of the Lenzerheide valley and is accessible via a two-lift system. Notably, big hit bikes with over 160mm of fork travel, full face helmets, and full body armor (compression suits) are not allowed on this side of the valley. You need to be riding an enduro or trail bike in order to ride over here. The trails fit with that restriction, though. All of the singletrack on this side is old school hiking trails--don't expect to find a fast DH track! 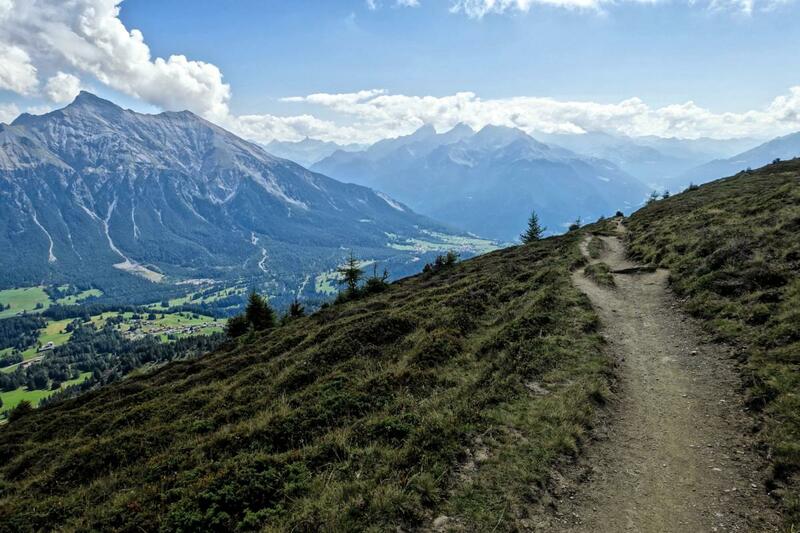 Review: This is one of the best zones for lift-served enduro biking right out of Lenzerheide. Trails on the other side of the valley are primarily bikepark, or you have to go further afield to hit classic lines. These are not. However, even with maps and signs I found navigation here very difficult. Eventually I resorted to just picking a trail and going with it, but I failed to find a number of the best trails. Piz Scalottas Zone MTB Trail 4.00 out of 5 based on 1 ratings. 1 user reviews.